Styled with gemma short and daisy jacket . It's more than a thing. 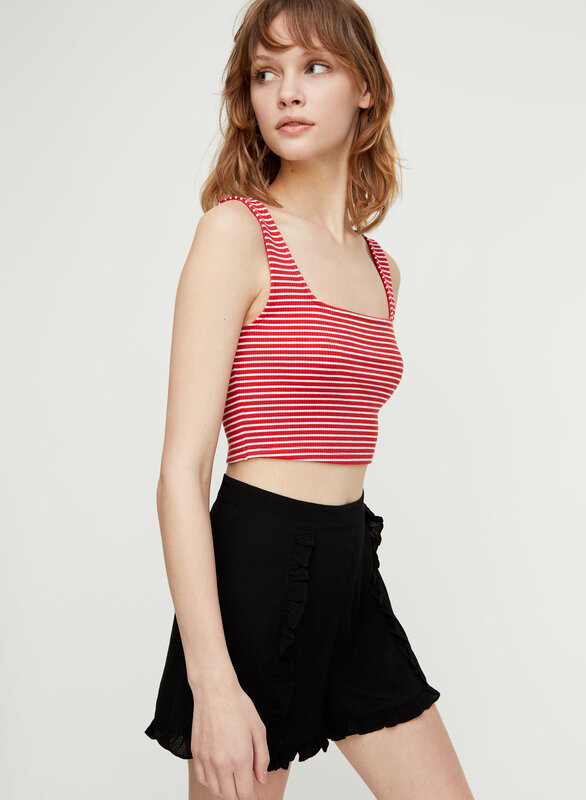 This is a cropped bodycon tank with a double scoop neckline. 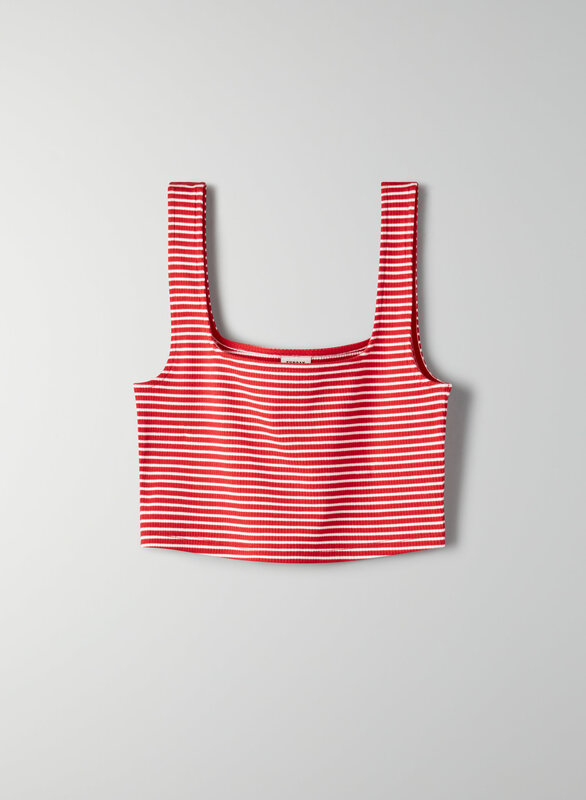 It's made with TENCEL® lyocell — a wood-based material made using an environmentally friendly process.